This is a question we were asked repeatedly our first few days here, and it was difficult to answer as our first 4 days were spent traveling back and forth from our anchorage in Store Bay on the west side of the island over to Tobago's largest town of Scarborough on the east side of the island. 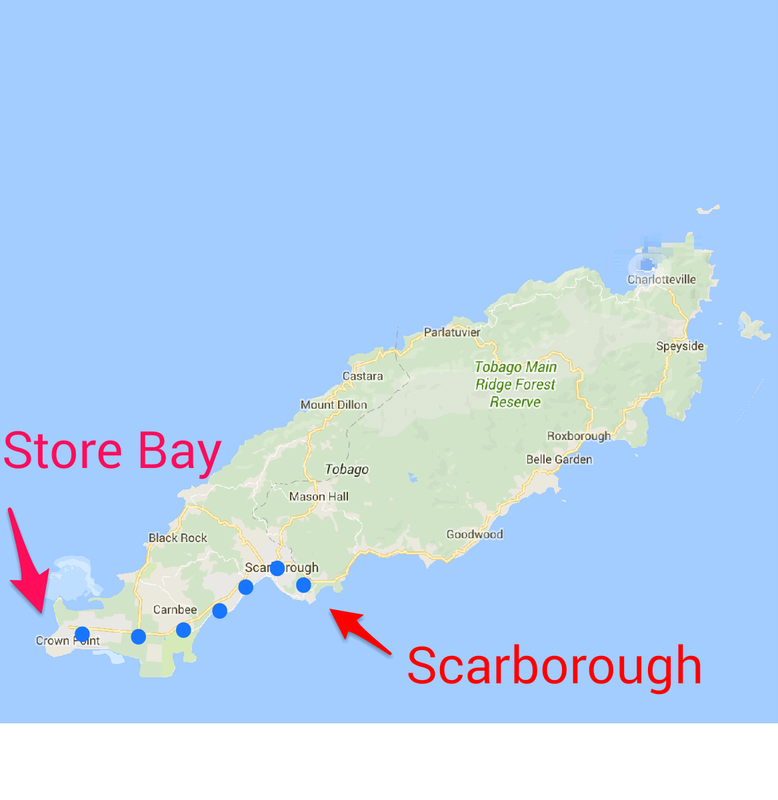 There are certain areas, countries and islands that attract cruisers. Communities develop, activities are set up, friendships are quickly developed. St. Martin and Grenada are two of those places that we have visited. Places like these are great spots to get repairs or upgrades done to your boat and to replenish your emotional/friendship needs. We certainly took advantage of all of these. With the benefits of these countries also comes the difficulty of leaving them, knowing you will be traveling without other companions and going to places that are less well equipped for cruisers, but leaving the comfort zone is how we discover new places, experience new things, meet new people and have new stories to tell. 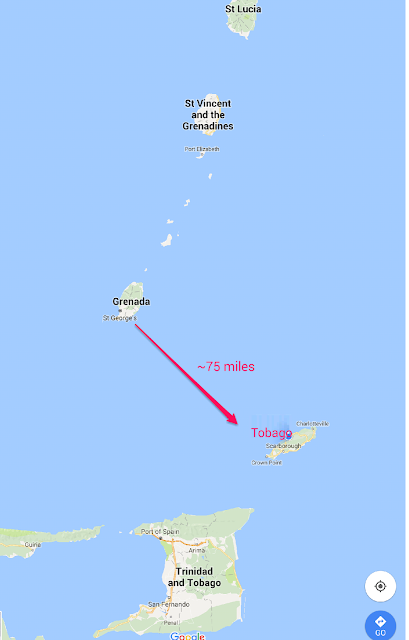 We made the decision to leave Grenada and head 75 miles SE to Tobago, the smaller of the two islands that make up the country Trinidad and Tobago. This is a blog post I wrote but never posted. 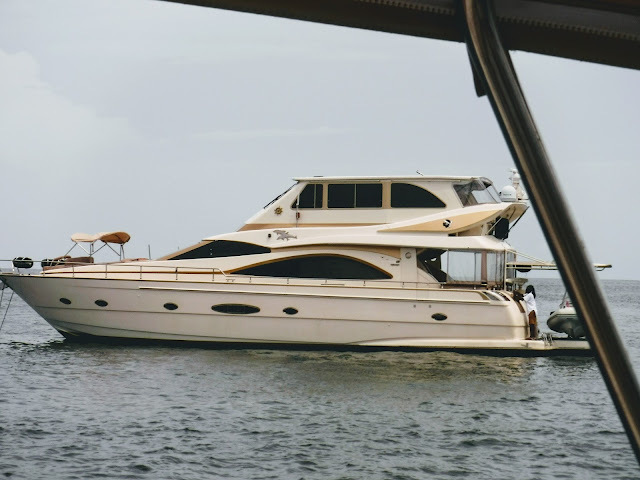 It is about about our first overnight passage, from BVI to St. Maarten back in January. 5 PM We release the mooring lines to begin our trip to St. Maarten, the Dutch portion of St. Martin /St. Maarten. 6:00 The sun is setting off of our starboard stern. We are rewarded with a bit of a green flash to celebrate our journey.